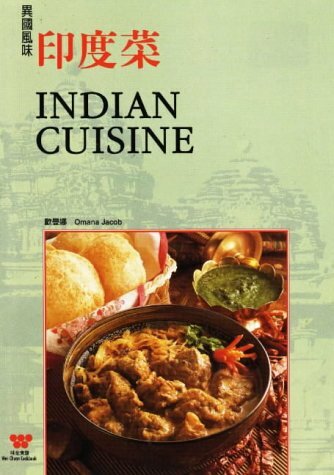 Indian Cuisine unveils the secrets of the delectable mixture of tastes and textures in the cuisine of India. Omana Jacob has selected 100 popular Indian delicacies, each tailored for the home cook and for those who wish to indulge in the exciting and delicious Indian cuisine. This includes a wide variety of Indian curries, delicious desserts, snacks, and sauces that serve as tasty side dishes. A whole section is devoted to vegetarian dishes, and the last part deals with special Indian drinks. View More In Regional & International. If you have any questions about this product by Brand: Wei-Chuan Publishing, contact us by completing and submitting the form below. If you are looking for a specif part number, please include it with your message. By Barron's Educational Series, Inc.